We believe in and support ORGANIC. Why? There are many myths about the organic quality. The truth is that ORGANIC means „normal“ – the way farmers produced the food for centuries. With no chemicals and in harmony with nature. And why should you choose ORGANIC products? Here are 6 reasons! Organic food production respects nature and sustainable agriculture. It’s gentle to the plants, animals and soil and raises the quantity of healthy microorganisms in it. The organic agriculture ensure that our planet will stay healthy and useful for the next generations. Organic products are produced in a natural way because their growth isn’t accelerated artificially. The animals are fed with their natural food and plants have enough time for rippening their fruits. Organic farms ensure humane conditions for the animal’s life, similar to their natural. They also provide a dignified leaving of this world with minimum stress. The yields on organic farms are higher in long-term than in conventional agriculture. Plus about a third of wrold’s food production is wasted. That means organic farming is capable of feeding the whole world if acting reasonably. Organic products are healthy because they contain less pesticides, drugs and other chemicals that has a negative impact on fertility, immunity, hormonal system and alergies. It’s been proven that organic producst does not contain more mold than conventional. Organic products price is fair – it includes all costs for their production. There are no extra costs as in a convetional agriculture – such as costs for improvingt the environment, air or water quality. These costs are usually transmitted to a consumer indirectly – through taxation. The bottom line – organic products and their production are the way people can live on this planet sustainably and in a long-term without sawing off the branch they’re sitting on. And besides that the organic food taste amazing! 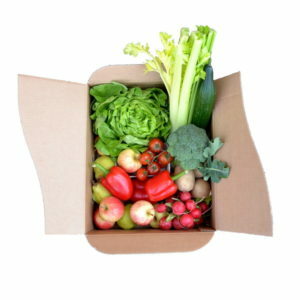 Enjoy vegetables and fruits grown in harmony with nature and gently to the planet Earth. 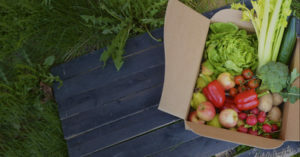 The basic ORGANIC frehsbox is prepared from such types of vegetables and fruits, in which it remains the most pesticide residue in conventional agricultural production.